In a large bowl combine lamb, green onions, cumin, cinnamon, lemon juice and salt. Preheat grill or grill pan. Stuff the pita bread halves with the lamb mixture, spreading and filling to edges. 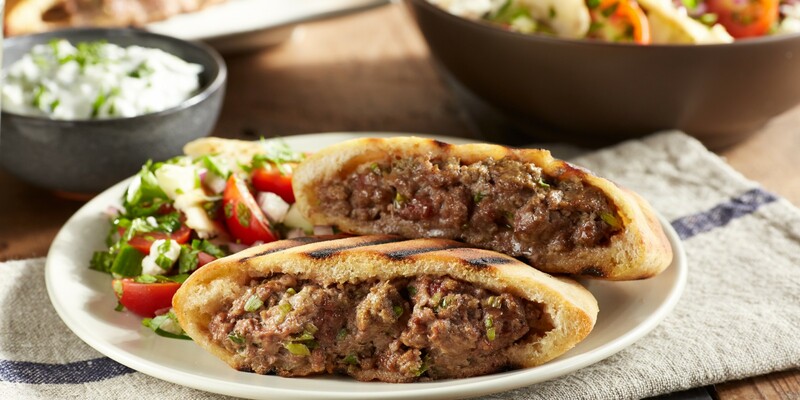 Brush the pita on each side with olive oil and grill until the filling is cooked through and the pita brown and crispy, 5-7 minutes per side. Let cool 5 minutes before serving with cucumber yogurt sauce, if desired.